The CJI said he is alarmed at the rate which frivolous petitions piling up in the supreme court and said the only way it can be stopped is imposition of heavy costs. He said the prime reason for the menace was inaction all these years. “Whatever the case, we have to read all these pages. My brother judges are young (looking at justices DY Chandrachud and NV Ramana seated with him). They have no problem going through the entire records but I am old. Look at my white beard. After reading all this I feel tired also. So please…” 65-year-old Chief Justice of India JS Khehar said in the Supreme Court on Friday. SC is already reeling under a backlog of nearly 61,000 cases. Pointing out that he has started imposing heavy costs on such petitioners, he slapped fines of Rs 10 lakh on a Bihar MLA and Rs 1 lakh on a Maharashtra professor in two separate cases. The CJI’s remarks came just before the lawyer for the professor said she wanted to withdraw the case, which was filed challenging a circular issued by the Gujarat government. An angry Khehar rebuked the lawyer and allowed her to withdraw the plea but after imposing a cost of Rs 1 lakh. “Why do you now want to go back to Gujarat? Why did not this occur to you when you were preparing the petition?” he said. The CJI imposed a Rs 10 lakh fine on Bihar MLA Ravindra Singh for indulging in frivolous litigation. The legislator from the state’s ruling RJD had challenged in the SC a high court order dismissing his petition, which questioned the veracity of a 23-year old newspaper article. The apex court said the cost needs to be higher as the representative of the people was found indulging in “unpardonable” activity of wasting judicial time. When the MLA’s lawyer pleaded that the cost be reduced, the CJI said after hearing the plea for leniency what came to his mind was the story of a hostel mate while he was a college student. Recounting the incident, the CJI said, “When a fine of Rs 25 was imposed on him in a case of indiscipline, he had said, ‘I belong to a rich family. At least impose a fine of Rs 250.’ Likewise you also please say I am an MLA, please impose a fine of Rs 1 crore on me and not mere Rs 10 lakh…Come on,” the CJI told the MLA’s lawyer, raising peals of laughter in the packed courtroom. What apparently set the tone for the CJI’s angry mood in the morning hours itself was a petition filed by a Madurai-based car mechanic, challenging “illegal additional floors” in a hospital in Thanjavur, Tamil Nadu. “Can a car mechanic complain about a hospital? What has he got to do with it? All these are vested interests. If anybody has a good cause we are there to hear it. We are adjourning this matter and in the next hearing if you are not able to prove your bonafides, we will impose costs on you,” he said. 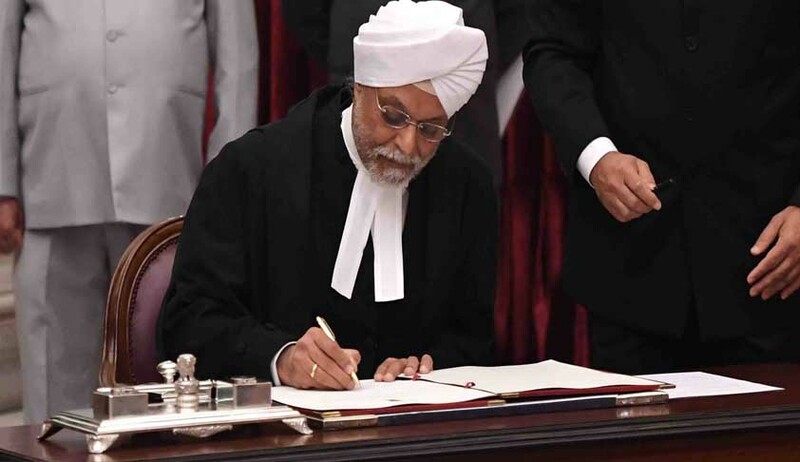 Within hours after taking charge on January 4, CJI Khehar had made his determination to bring down the backlog in the apex court clear by summarily dismissing long-pending frivolous petitions and refusing adjournments in cases. He had begun the practice of disposing of old petitions in a single sitting without granting any adjournments. “Things cannot go on like this. I will start imposing heavy cost on adjournment seekers. I find government lawyers the biggest culprit. How will cases finish?” he had asked on January 5 to a lawyer who appeared for the Centre and sought deferment of a case.